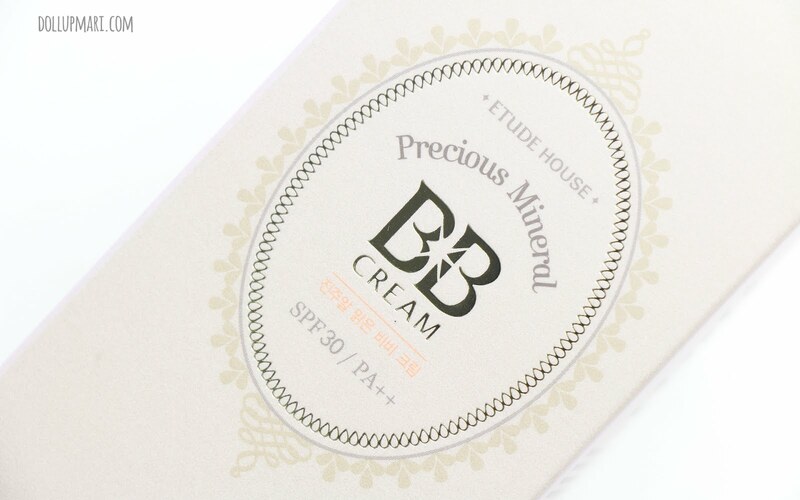 In today's episode of Mari is so overdue with her blog posts, here is my review (after months huhu sorry Etude House) of their Precious Mineral BB Cream! Yaaaay! So to start off, Precious Mineral is in the middle of the tubed dewy BB creams if you ask me. It's not as heavy as Bright Fit, but not as light as Blooming fit, which is why it's in the middle. It's also dewy, so do not expect it to behave like Cotton Fit. 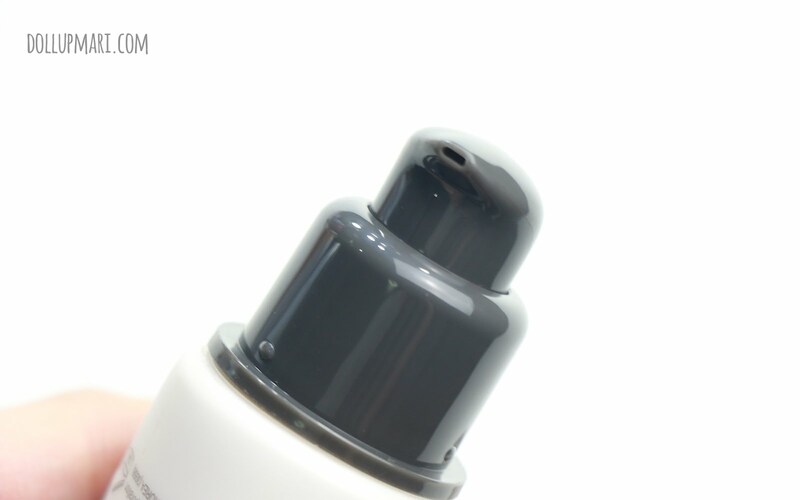 And since it's tube, do expect that it will be much thicker in formula than the cushion BB Creams. 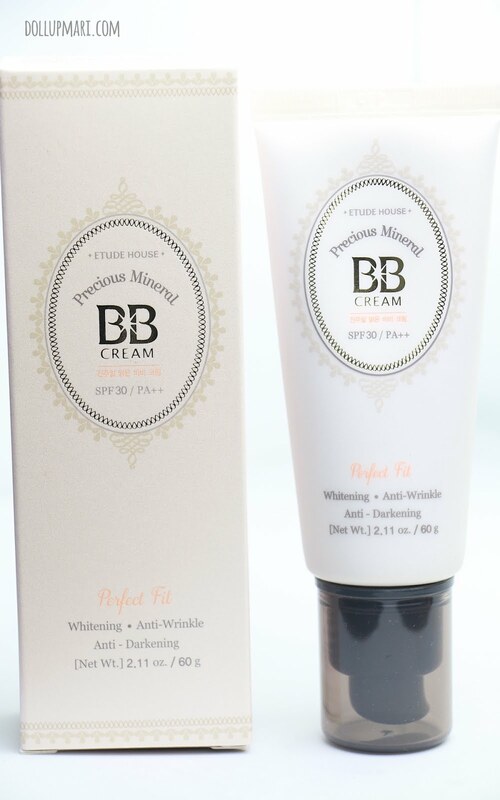 The newer packaging of Etude House's BB Creams is really a nice touch as the BB creams now look classier than ever. The matte finish is probably doing the trick. At the same time, the markings on the tube and the box are also so classy. I really wish that all of you could see how classy it is. 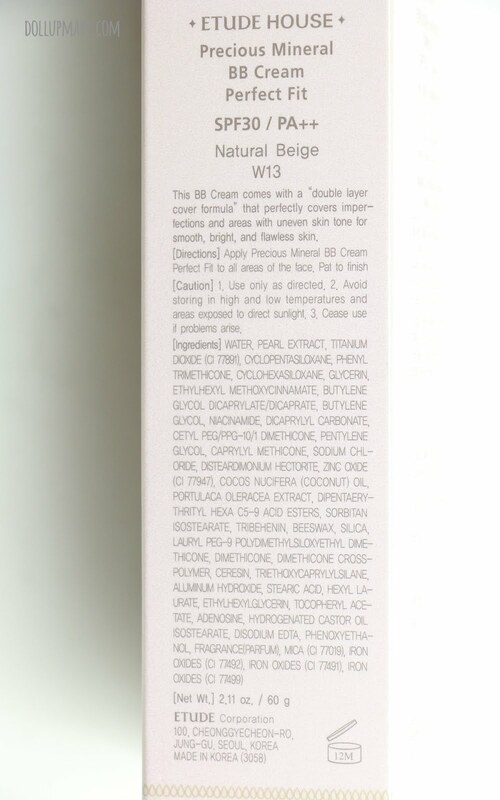 Just like the other tubed BB Creams, this is at SPF 30 and at 60 grams. This shade I got is W13. And for those who read my review on Blooming Fit, let me just update you that I still haven't tried to bring this in my hand carried luggage for fear that it may get confiscated. For the concerned citizens out there, here are the ingredients and product information. You can right click on the photo to get a better view. The nice part about all of Etude House's tubed BB creams, this one included, is that it comes with a pump to dispense the BB Cream. This is especially useful because I want to keep my BB cream in use for a reasonable amount of time and do not want to waste product on accidental squeezing and oversqueezing. I also think that for those who travel often, this is a good idea to take on your luggage (preferably the checked in ones) because it's probably less likelier to spill given its packaging. 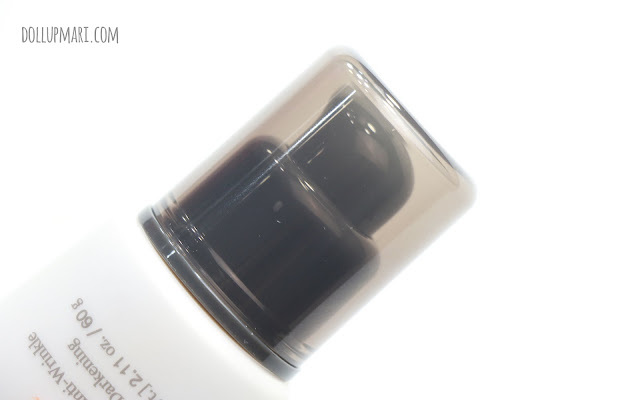 The tube may not look really big when you look at the photo, and not even in real life, but you'd realize how much product is actually in the tube when you can't finish one even in two years' time (yes I'm looking at you tube of Bright Fit I bought in 2013). 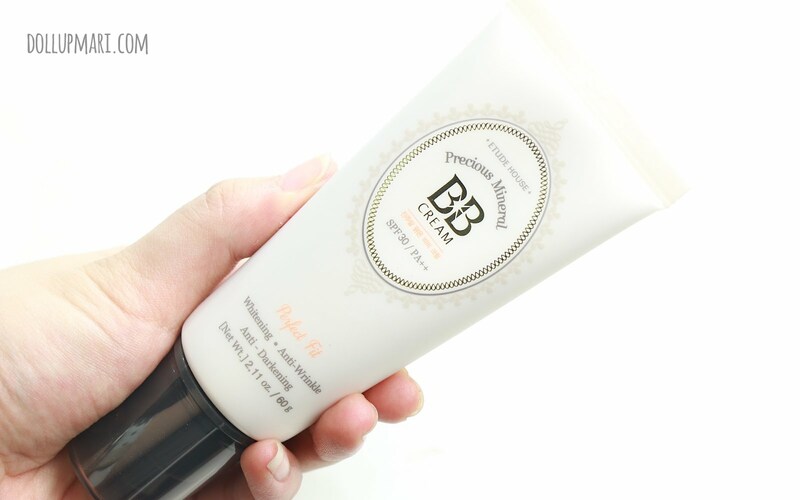 Though it's hard to believe, I actually make BB cream a part of my daily routine. And I actually choose the tubed ones over the cushioned ones. One thing I've realized is that the tubed ones fare better in hot weather than the cushioned ones because the formula is thick and "gooey" (we all know that the cream itself is not gooey but has its own gooey feeling on the face) enough to stick on the face no matter what. The first instinct is to think of cushion as the better choice for hot weather as it's light and less greasy to the feel, but it's too feathery at times that it will just wear off your face before the day is even over. I choose cushion for when I know I will be in an air conditioned room or in a place with cold weather (cushion worked for me especially well when I was in Korea). But for the hot Philippine weather, I choose tube. So here are the before and after photos of me using the BB cream. As you can see, my dark circles are not fully eradicated, but at least most of the sun spots and discolorations have been covered. I also love the overall glow that this BB cream gives. This is also the best one for everyday use among all of Etude's tubed dewy BB creams because it's just right--- not too thick to make you look like you have a lot of makeup, but not too thin that it stays put just right even on the hottest of days. I also have had no issues on oxidation with this (just as all of Etude's other BB creams) because as far as I've heard, the gods of Amore Pacific have long heard the cries of beauty junkies worldwide and created the perfect formula that will eradicate unwanted oxidation. I can expect to put the BB cream in the morning and not look any darker in the afternoon. 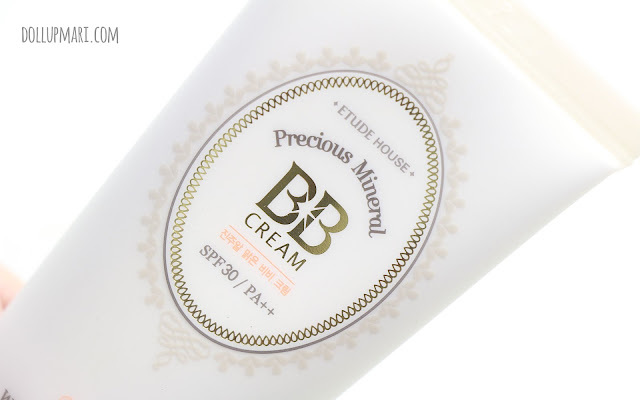 As for white cast in flash, I have not experienced anything serious with Etude House BB Creams, but if you are going for a really important engagement where flash photography is involved, for peace of mind, I recommend using a no-SPF foundation instead. I still have a lot of Etude House BB Cream right now (I have Bright, Blooming, and this Perfect fit, as well as several sets of the cushion one), but when they all do run out, this would be my top choice when it's time to restock on them. And as a final note, for shade reference, this one is the middle shade (they have N02 which is the light one and W24 which is the darker one). Etude House's shades will work for most Pinays and Asians, as W24 is really noticeably darker than W13 and will suit most kayumanggi skintones. You can get your own tube for Php848 at Etude House stores and department store kiosks nationwide. What has been your favorite Etude House BB Cream of all time?